During its announcement party, HTC gave word on two new handsets launching in Europe later this month and in November, the S730 and P6500, respectively. 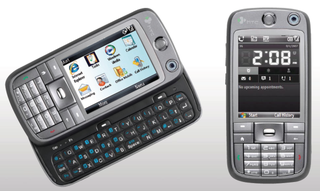 The WM6, Office Mobile-loaded S730, which appears to be a sequel to the Vox, sports Wi-Fi, HDSPA, auto-slide QWERTY keyboard, 256MB of flash memory, and the usual HTC works. Up next, the unattractive enterprise-oriented P6500.